SRM University, Sonepat have announced the MBA admissions for 2018-20 batch. 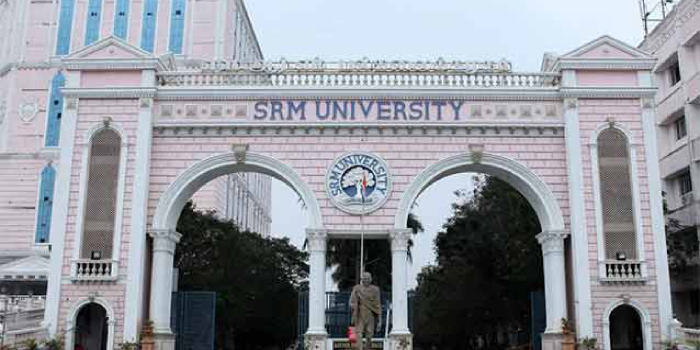 SRM is a Private State University established by the SRM Institute of Science & Technology Trust (SRM IST Trust), Chennai which is registered as non-profitable trust as well as AIU UGC approved. Here is the complete admission notification of SRM University. Minimum score required in class X and/or XII - Candidates must have passed 12th Standard or equivalent examination, recognised by State or Central Education Board. It is required to score at least 50% aggregate in PCM/PCB in the qualifying examination. Candidates must have taken five subjects in 12th Standard. He/she must have studied Physics, Chemistry, and Mathematics/Biology as core subjects. Candidates applying should hold a graduation degree from any affiliated university. Candidates can fill the online application to appear in SRM Haryana Common Aptitude Test (SRMHCAT)-2018. SRMHCAT 2018 will be conducted in 81 cities spreading across 29 States of the country. Candidates are required to highlight the test centre while filling the application form. Does SRM University, Sonipat offers BA(LLB)? I want to do hotel management as I want to become a chef for this what should i do???? Is SRM university worth to join for BALLB? Your SRM University, Delhi-NCR, Sonepat brochure has been successfully mailed to your registered email id .